This article opines that the extremely difficult venture of diverting the water of the Tsangpo to North China, even if can be done successfully, is not going to starve Assam of water. In fact the impact may be overall beneficial. 'Indian diplomacy is once again being saddled with the heavy burden of a Pakistan-centric foreign policy. It is something grossly unfair at a crucial juncture in India's trajectory as an emerging power on the global stage,' argues Ambassador M K Bhadrakumar. There is something in common, but much in contrast, between the speech Pakistan Prime Minister Nawaz Sharif made in 2013 at the annual United Nations General Assembly session and his statement at the same venue in New York on September 30. Indeed, both speeches contained references to relations with India and the 'core issue' of Kashmir. But then, they need to be juxtaposed for two other reasons. Firstly, Sharif made the 2013 speech during the United Progressive Alliance rule in India, while this time around Prime Minister Narendra Modi is running the government. Two years ago, Sharif spoke positively about his expectations of carrying forward the India-Pakistan dialogue with Manmohan Singh, while Wednesday's speech was strikingly gloomy -- even alarmist, signaling gathering storms on the horizon. However, the speech is a mirror image of the sharp deterioration of the India-Pakistan ties under Modi's watch. Modi has squandered away the UPA's splendid legacy of bringing about some degree of stability and predictability to India's relations with Pakistan. Sharif seems to have given up hope of an improvement in relations so long as Modi is in power in India. His focus on Wednesday was on how to avoid a conflict. The 2013 speech contained a clear enunciation of Pakistan's stance on the Kashmir problem -- the imperative need of the UN 'continuing to remain attentive' to the Kashmir issue and of the 'full realisation of the right to self-determination' of Kashmiris in accordance with the Security Council resolutions, et al. While much has been written about how the Narendra Modi regime has handled foreign policy, a lot of insight is still missing about its Pakistan policy. The fact that the Indian government has stuck to generic statements about zero tolerance for terrorism has not helped the public gain an understanding into whether Modi has a firm long-term plan for the Pakistan problem. One hopes that unlike previous governments, at least this one doesn’t believe that true peace is just around the corner and the Prime Minister just needs to try a little bit harder. With a pragmatist like Ajit Doval as the National Security Advisor, it is hoped that the Indian establishment has finally concluded that it is impossible to negotiate in good faith with a nation whose raison d’etre is to be antagonistic towards India. The word hope is being used repeatedly here because even if the Indian Government has come to these realizations, it cannot reveal the same publicly and needs to keep up pretenses in front of the international community. Assuming that the current ruling dispensation harbors no false hope about Pakistan’s intentions, the next step would be to craft an aggressive covert policy against Pakistan. Such a policy should aim at providing India very strong levers which it can use to work towards a permanent long-term solution. Scarcely anyone will disagree that such a plan must revolve around the future of Balochistan. But can India display the same initiative, sensitivity, agility and ambition in its covert thinking which the Prime Minister has demonstrated publicly in crafting a bolder course in foreign relations? If India hopes that Balochistan can be used as a lever just by dangling the unspoken threat of arming and training the Baloch rebels in the near future, it would be a mistake. That is a very twentieth century tactic which has run its course and will meet with limited success. The West was caught unprepared by the rise of Islamic State, as it was a decade and a half ago by the attacks of al Qaeda and as the Soviet Union was by the determination of the mujahedeen of Afghanistan in the 1980s. These are among the worst failures of political intelligence in modern times, and the consequences have been disastrous. The unpreparedness was not accidental. It happened because of a blind spot in the secular mind: the inability to see the elemental, world-shaking power of religion when hijacked by politics. Ever since the rise of modern science, intellectuals have been convinced that faith is in intensive care, about to die or at least rendered harmless by exclusion from the public square. But not all regions of the world have gone through this process. Not all religions have allowed themselves to be excluded from the public square. And when secular revolutions fail, we should know by now that we can expect religious counterrevolutions. Religion has lately demanded our attention not as a still, small voice but as a whirlwind. If Isaiah’s prophecy that nations “shall beat their swords into plowshares” is to be fulfilled, then the essential task now is to think through the connection between religion and violence. Three answers have emerged in recent years. The first: Religion is the major source of violence. Therefore, if we seek a more peaceful world, we should abolish religion. The second: Religion is not a source of violence. It may be used by manipulative leaders to motivate people to wage wars precisely because it inspires people to heroic acts of self-sacrifice, but religion itself teaches us to love and forgive, not to hate and fight. The third: Their religion, yes; our religion, no. We are for peace. They are for war. None of these is true. As for the first, Charles Phillips and Alan Axelrod surveyed 1,800 conflicts for their “Encyclopedia of Wars” and found that less than 10% involved religion. A “God and War” audit commissioned by the BBC found that religion played some part in 40% of major wars over the past three millennia, but usually a minor one. The second answer is misguided. When terrorist or military groups invoke holy war, define their battle as a struggle against Satan, condemn unbelievers to death and commit murder while declaring that “God is great,” it is absurd to deny that they are acting on religious motives. Religions seek peace, but on their own terms. The September congregation of the two Asian giants in the US has given off a few definite indications about the emerging world order in the new ecosystem that is witnessing re-globalization after a brief lull or the de-globalization in the wake of 2008-09 financial crises. It appears that Samuel Huntington’s 1999 prophesy of the Uni-multipolarity where the US would be in the core and various other countries extending diplomatic, economic and military support for its initiatives; and India-China’s aspirations about a multi-polar world is fast eroding and paving way for tripolarity centred on the US-China and India. The US, according to all indications will continue to be a top powerhouse of the military, economic and technological prowess, and China and India closing in the gaps; for example within a decade the respective GDP of the US, China and India at present growth rate will reach to $25 trillion, $19 trillion and $5 trillion respectively. However, if India does well in its infrastructure, education and health sectors, innovation and technology driven India is likely to push the figures for India further more. Over $40 billion business deals signed between China and the US that include purchase of 300 Boeings; $3 billion deals between India and the US, the meetings of President Xi Jinping and PM Narendera Modi with the top US technology honchos; both promising to deepen the reforms and creating an investment friendly environment, and in turn the US high-tech companies committing to invest in two of the world’s largest markets, is a pointer to this unfolding tripolar symmetry. This all is taking shape in a new geopolitical and economic eco system, where three unique forces of the US driven re-globalisation, and Chinese and Indian globalization processes are coming into terms with each other. China has been the largest country in the world that has benefitted and uplifted over 600 million people from poverty in the shortest period of time in the history of mankind, implying that it adjusted extremely well to the forces of globalization prior to 2008-09 financial crisis. India on the other hand appears to have muddled through during the deep globalization uplifting over 100 million people from poverty, could have done better but somehow did not make proper adjustments vis-à-vis domestic socio-politico-economic drivers and the globalisation. 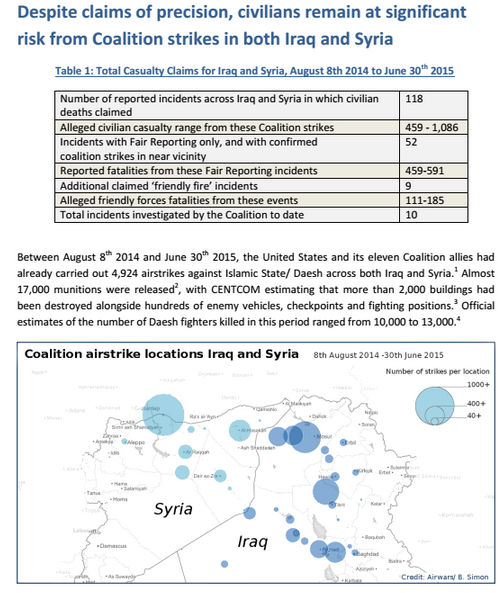 September 30, 2015, Written by Peter Mattis. With the launch of airstrikes in Syria, Russian President Vladimir Putin instigated a proxy war with the U.S., putting those nation's powerful militaries in support of opposing sides of the multipolar conflict. And it’s a huge gamble for Moscow, experts say. “This is really quite difficult for them. It’s logistically complex. The Russians don’t have much in the way of long-range power projection capability,” said Mark Galeotti, a Russian security expert at New York University. Moscow’s military campaign in Syria is relying on supply lines that require air corridors through both Iranian and Iraqi air space. The only alternatives are naval supply lines running from Crimea, requiring a passage of up to 10 days round-trip. How long that can be sustained is unclear. That and other questions about Russian military capabilities and objectives are taking center stage as Putin shows a relentless willingness to use military force in a heavy-handed foreign policy aimed at restoring his nation’s stature as a world power. In that quest, he has raised the specter of resurgent Russian military might — from Ukraine to the Baltics, from Syria to the broader Middle East. Far too much of the commentary on Russian military intervention in Syria, Vladimir Putin’s speech at the United Nations, and Putin’s relations with Barack Obama reverts to the mindreading era of Kremlinology. It takes Putin’s actions out of context and often says more about the author’s prejudices than it does about Putin. It is important to note that Russia formally introduced many of the views of the U.S. and Western “destabilizing” impact on the Middle East and the developing world well over a year ago at a formal military conference in Moscow. Russian high-level officers and diplomats reacted strongly to the criticisms and sanctions resulting from Russia’s actions in Ukraine. They shifted radically away from a past focus on improving military relations with Europe—and to a lesser degree the United States. They instead focused on what they called the “color revolutions” and portrayed the instability in the Middle East and North Africa (MENA) region and the rise of Islamist terrorism as a mix of ill-judged U.S.-led interference that was destabilizing many developing states and part of something approaching a U.S.-led plot to dominate the states involved. A range of Russian and Belorussian military and civil experts presented a very different view of global security and the forces behind it at the Russian Ministry of Defense’s third Moscow Conference on International Security on May 23, 2014. The first session of the conference presented an overview of the security situation, focusing on what Russian experts called the color revolutions. Russian analysts have used this term since—the Rose Revolution in Georgia in 2012, the Tulip Revolution in Kyrgyzstan in 2005, and the Orange Revolution in Ukraine in 2004. Russian military officers tied the term color revolution to the crisis in Ukraine and to what they saw as a new U.S. and European approach to warfare that focuses on creating destabilizing revolutions in other states as a means of serving their security interests at low cost and with minimal casualties. It was seen as posing a potential threat to Russia in the near term, to China and Asian states not aligned with the United States, and as a means of destabilizing states in the Middle East, Africa, Central Asia, and South Asia. The second session repeated these themes, focusing on the instability in the Middle East, and the final session addressed the war in Afghanistan and South Asia. Many of the speakers at the meeting from other countries touched on very different themes, but the Russian and Belorussian military speakers provided a consistent and carefully orchestrated picture of the color revolutions—backed by detailed PowerPoint presentations. Recent developments show that India’s attention is very much on the Indian Ocean. India’s maritime diplomacy is most often associated with its naval outreach to East Asia. 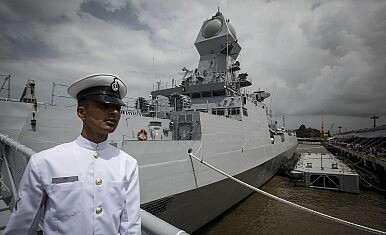 With an increase in naval ship visits to South East Asia in recent years, and attendant media speculation over New Delhi’s supposed Pacific ambitions, the impression has been created that East Asia remains the ultimate destination of the Indian Navy’s diplomatic endeavours. By contrast, New Delhi’s nautical diplomacy in the Indian Ocean has seemed relatively modest. Despite its considerable contribution to sea-lanes security and counter-piracy operations off the coast of Somalia, in the popular imagination, the Indian Navy’s security efforts in the Indian Ocean region have remained confined to the level of constabulary and benign presence. Developments in the past few months, however, have shown that India’s attention remains squarely focused on the Indian Ocean. Since February this year, when Prime Minister Narendra Modi visited Sri Lanka, Seychelles and Mauritius, making it clear the Indian Ocean littorals remained India’s top priority, New Delhi has actively nurtured relationships with its maritime neighbours. Having improved the texture of its diplomatic ties, India has also sought to undertake joint developmental projects and strengthen a maritime security trilateral with Sri Lanka and Maldives through the inclusion of Seychelles. New Delhi’s maritime diplomatic efforts haven’t remained limited to the cultivation of political relationships. In April this year, the Indian Navy scored one of its biggest diplomatic successes when it evacuated over 4000 Indians and 900 foreign nationals from war‐torn Yemen. Operation Rahat was seen as a credible illustration of the India’s maritime peacekeeping and benign potential, more so because it was conducted amid an active conflict, amidst an unfolding humanitarian catastrophe. The CIA officially launched its new cyber-focused directorate Thursday, capping a massive internal reorganization that intelligence officials say will also include the agency’s first ever creation of six regional command centers aimed at streamlining U.S. spying activities across the globe. The establishment of the new Directorate for Digital Innovation (DDI) marks the first time in more than 50 years that the agency has formed a new directorate, and it is expected to be a cornerstone of CIA Director John O. Brennan’s legacy at the agency. Yet, while CIA officials have touted the DDI’s creation as the mantelpiece of an internal reorganization that has been occurring behind-the-scenes for months, it is the formation of the new “mission” centers — including ones for counterintelligence, weapons and counterproliferation, and counterterrorism — that is most likely to shake up the agency’s personnel around the world. Agency sources described the creation of the the new centers as something akin to the Pentagon’s establishment during recent decades of regional operations hubs including U.S. Central Command, Southern Command and Africom, designed to bring focus and clarity to American military assets with different missions peppered across specific regions. The Programs That Become the Programmers “Machine learning” is starting to reshape how we live. It’s time we understood it. Vertical section of human brain MRI scan, overlaid with a single-layer feed-forward artificial neural network. Photo illustration by Lisa Larson-Walker. Images by Ultima_Gaina/Thinkstock and Akritasa/Wikimedia Commons. Computers and the algorithms they run are precise, perfect, meticulously programmed, and austere. That’s the idea, anyway. But there’s a burgeoning, alternative model of programming and computation that sidesteps the limitations of the classic model, embracing uncertainty, variability, self-correction, and overall messiness. It’s called machine learning, and it’s impacted fields as diverse as facial recognition, movie recommendations, real-time trading, and cancer research—as well as all manner of zany experiments, like Google’s image-warping Deep Dream. Yet even within computer science, machine learning is notably opaque. In his new book The Master Algorithm, Pedro Domingos covers the growing prominence of machine learning in close but accessible detail. Domingos’ book is a nontechnical introduction to the subject, but even if it still seems daunting, it’s important to understand how machine learning works, the many forms it can take, and how it’s taking on problems that give traditional computing a great deal of trouble. Machine learning won’t bring us a utopian singularity or a dystopian Skynet, but it will inform an increasing amount of technology in the decades to come. While machine learning originated as a subfield of artificial intelligence—the area of computer science dedicated to creating humanlike intelligence in computers—it’s expanded beyond the boundaries of A.I. into data science and expert systems. But machine learning is fundamentally different from much of what we think of as programming. When we think of a computer program (or the algorithm a program implements), we generally think of a human engineer giving a set of instructions to a computer, telling it how to handle certain inputs that will generate certain outputs. The state maintained by the program changes over time—a Web browser keeps track of which pages it’s displaying and responds to user input by (ideally) reacting in a determinate and predictable fashion—but the logic of the program is essentially described by the code written by the human. Machine learning, in many of its forms, is about building programs that themselves build programs. But these machine-generated programs—neural networks, Bayesian belief networks, evolutionary algorithms—are nothing like human-generated algorithms. Instead of being programmed, they are “trained” by their designers through an iterative process of providing positive and negative feedback on the results they give. They are difficult (sometimes impossible) to understand, tricky to debug, and harder to control. Yet it is precisely for these reasons that they offer the potential for far more “intelligent” behavior than traditional approaches to algorithms and A.I. The cyberwar era arguably began two hours before midnight on April 26, 2007, when hordes of Internet traffic started quietly overwhelming servers in the small European nation of Estonia. The barrage, prompted by the Estonian government’s decision to relocate a controversial monument to the country’s Russian liberators in World War II, went largely unnoticed for the first 24 hours. After a week, major government websites were offline. In the second week, the hackers, operating from an unknown location and controlling infected machines all over the world, brought down the websites of Estonia’s major newspapers. The papers’ IT experts eventually had to block all international traffic to stay online—saving themselves, but cutting off their best way of telling the world that they were under attack. The hackers were using a technique called a distributed denial-of-service (DDoS) attack. They assembled botnets—networks of computers surreptitiously infected with their malware—to flood Estonian servers with data requests. This jumble of garbage traffic prevented packets of genuine data from getting through. DDoS attacks are a crude but highly effective tool, and they continue to be a major weapon in cyberattackers’ arsenals. The attacks peaked at midnight, Russian time, on May 9, the anniversary of V-E Day. The symbolism was obvious and deliberate: Most of the attacks were the work of pro-Russian activists, who used software distributed on Russian-language forums and were furious about the relocation of a statue honoring their war heroes. When the nationwide political cyberattack reached a fever pitch, Estonian servers received a combined total of 4 million packets per second from almost 1 million computers worldwide. Estonia did indeed fight back, identifying the individual IP addresses flooding its servers with traffic and sending them to the Internet Architecture Board, a small group of trusted experts who can take individual network addresses offline entirely. The North Atlantic Treaty Organization (NATO), of which Estonia is a member, sent a few cyber-defense experts to aid in the response. Today’s small wars and border conflicts are being fought online and under the radar, but the conflicts could escalate into real world wars. There appears to be two glaring trends in cyber policy today—the lack of defined terms and the lack of deterrence. Government and military officials say that operating in and defining the cyber realm is not easy for several reasons and that it will take a few years to build up the cyber mission force and develop norms – something also incumbent on the international community. “We’re still working our way through that,” NSA director and commander of the U.S. Cyber Command Adm. Michael Rogers told lawmakers this week regarding cyber definitions of war. While talking about the parameters that could define an cyber act of war, he said the that building on conventional war frameworks is a useful exercise – something he elaborated on in greater detail this spring at the Aspen Security Forum. “What [the hack of the Office of Personnel Management databases] represents is a good question … so what are the parameters we want to use? 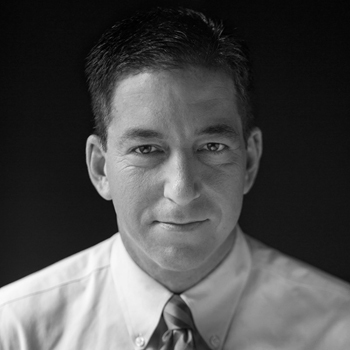 Is it as [Director of National Intelligence James Clapper] has said, is it the intent is within the acceptable realm, is it scale, is it you can do espionage at some level for example but if you trip some magic threshold – hey is 20 million records, is 10 million records – is there some scale component to this?” said Rogers this week. Members of the 2nd Armored Brigade Combat Team defend the network at NIE. The Army has over 200 years’ experience dealing with the physical threats of the battlefield, and leaders are pretty confident in their ability to overcome them. These days, it’s the other kind of threat that has them concerned. "The greatest threat I face as a brigade commander on the battlefield is not tanks, snipers or IEDs," Col. Chuck Masaracchia said as the Army got started hosting the largest-ever joint forces network exercise. "It's defending the network." The importance of cyber defense on the battlefield reflects two relatively recent developments in military operations. First, just about any enemy can launch cyberattacks, because the cost of doing so is relatively low and the technology is readily available. And second, the Army needs that network to function, because so many systems depend on it and interact with each other through it. "I am more than confident of our force's capabilities to destroy any force on the battlefield—as long as we can provide mission command," Masaracchia, commander of the 2nd Armored Brigade Combat Team, 1st Armored Division, said in a release, shortly after the start of Network Integration Evaluation 16.1, which is taking place Sept. 25 to Oct. 8 at Fort Bliss, Texas, and nearby White Sands Missile Range and Holloman Air Force Base, both in New Mexico. The Army has been hosting NIEs twice a year since 2011, in order to test the integration and interoperability of new technologies into the battlefield network, the Warfighter Information Network-Tactical. NIE 16.1 is serving as the final proof of concept for a new exercise that will replace one of the NIEs each year, the multinational, innovation-focused Army Warfighting Assessment (AWA). The current exercise includes some 9,000 military and 3,000 civilian participants—nearly three times the total of a typical NIE—from the U.S. military services, the U.K., Italy and 12 other countries. Folklore has it that the profession of ‘intelligence’ is a cloak-and-dagger affair, enveloped in a certain mystique that is hard to unravel. It has always been looked upon as a calling that requires self-effacing men and women who are little-known to the public. Except for an occasional upstart — we did have a few of them in our own country — no intelligence operative is ever heard in public espousing his cause over the media, especially when he is still actively employed under a government. So, when the head of a traditional and low-profile MI5 — United Kingdom’s domestic intelligence outfit — goes live on BBC Radio 4, describing the current terror scene in the country and what his agency ought to do and what its obstacles are, eyebrows are certain to be raised. It would be interesting to speculate whether the Indian government would ever fancy our Intelligence Bureau (IB) director going to the media to explain the threats facing us, as the MI5 chief did. I do not see anything wrong in such a departure from the past, as long as it serves to educate the common man and instruct him on the perils of complacency and unwillingness to be proactive in hunting down terrorists who are living in our very midst. I would, therefore, certainly commend such a dose of transparency. This may be tried after making sure that openness in the national interest does not compromise on the IB’s operational secrecy. This is not difficult to achieve. I know that many current and past intelligence men will be outraged by my suggestion. Nevertheless, it is worth an experiment, if we have to move with the times. America has certain types of specialized force structures that other countries do not possess that can make a big difference in many peacekeeping missions. Little noticed among all the Obama-Putin drama and other recent intrigue at the United Nations has been one issue that President Obama himself chose to highlight prominently—the future of United Nations peacekeeping. For all the high-level attention to conflicts from Syria and Iraq to Afghanistan to Ukraine, it is UN peacekeepers who handle most of the world’s hotspots—through more than a dozen missions at present, with a total of more than 100,000 soldiers worldwide. From the Sudans to Congo to Haiti to Lebanon, they patrol, train and protect local populations. Increasingly, related operations like the African Union’s mission in Somalia contribute importantly as well, albeit with mixed results like anything else in life. As such, President Obama was right to extol the efforts of peacekeepers. He and other world leaders who led the summit deserve praise for persuading a number of countries, including notably China, to pledge more help for future missions. In theory at least, some 30,000 additional personnel from a total of 50 countries were designated to be available for future operations. However, there are problems. America’s pledge to help in future missions was limited in scope and scale, at a time when most missions remain badly under-resourced in terms of troop numbers and equipment. Take one example—the Democratic Republic of Congo, a country with more than twice the population and several times the geographic size of either Iraq or Afghanistan, has never been accorded more than 20,000 UN troops. By comparison, the Iraq and Afghanistan missions each exceeded 100,000 at their respective peaks. Yet President Obama’s proposals for greater American support would be confined essentially to specialty realms—important to be sure, but not addressing the heart of the current shortfall in UN capacity, which is in the realm of well-trained and well-equipped regular soldiers and police. 'Islamic State has declared that the liberation of Islamic Xinjiang from China is an objective. Beijing may well find that Pakistan is unable to assist in any meaningful way,' says China expert Jayadeva Ranade. Coinciding with the 60th anniversary celebrations of the so-called 'liberation' of Xinjiang by China and establishment of the Xinjiang-Uyghur Autonomous Region, China has been rocked by unprecedented Islamic extremist violence. Over twenty bomb explosions and a very violent knife attack resulting in the deaths of dozens of Han Chinese occurred in three incidents within two weeks in two cities in two of China's peripheral provinces where a high percentage of the country's ethnic Muslim minorities reside. The incidents occurred at a coal mine in Aksu city in the restive north-western Xinjiang Autonomous Region and Luizhou city in the Guangxi-Zhuang Autonomous Region on the southern border opposite Vietnam. 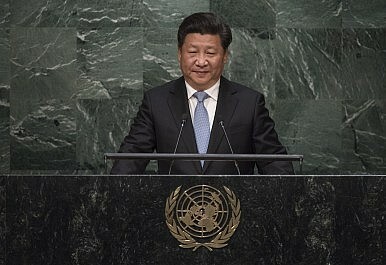 China's top leadership has been jolted by these acts of violence. Monday, October 05, 2015 - Badaber has a long history connected to the US- Pakistani military relations. It was called ‘Camp Badaber’ in 1959 when it served as CIA - United States Air Force Security Service listening post (Communication base) mainly as a spying centre during the cold war against the Soviet Union. Ultimately, America had to vacate the base in July 1970 after its failure to get the agreement renewed amidst increased anti-US public sentiments, especially after the 1965 Indo-Pak war and US arms embargo on Pakistan. The US hold over Badaber was a result of a communication agreement that was negotiated by the US and signed in 1957 by Prime Minister Hussain Shaheed Suhrawardy with Gen. Iskander Mirza as President. The Pakistani government at that time was hoping for US diplomatic help with regard to a resolution of the Kashmir conflict. The agreement included the American use of Badaber base as a spying station and of Pakistani air space and a portion of Peshawar airport for spying flights by the famous U2 spy plane designed to carry out aerial reconnaissance. When in 1958 Ayub Khan came to power as a result of a military coup he strengthened Pakistan’s military and economic alliance with the US against the Soviet Union who was eying on India to become their strategic partner against US. Pakistan’s policy for a short while led to major economic aid from the US and Europe. Camp Badaber started operating in 1958. It grew into a small American town that was called “little US” with a population of 800 personnel at the air base and an additional 500 support personnel for cooking, medical care, teachers etc. It was equipped apart from administration buildings, barracks and dining hall with elaborate leisure facilities like a movie theatre, and a gym. Later construction added a bowling alley, golf course, dependent living, and school. These facilities are still there and used by the Pakistan Airforce and their families. In 1960s Badaber drew international attention when one of the U2 spy planes flown by CIA pilot Gary Powers was shot down by a Soviet surface-to-air missile and crashed near Sverdlovsk. The pilot survived and was captured as were the photos that had been taken by the pilot. Map detailing Taliban controlled or contested districts. Click colored district for information. Based on an analysis by The Long War Journal, 27 of Afghanistan’s 398 districts are under Taliban control, and another 36 districts are contested. Map created by Caleb Weiss, Bill Roggio, and Patrick Megahan. While fighting for control of the provincial capital of Kunduz, the Taliban launched a wider offensive in the Afghan north aimed at seizing control of districts in four provinces: Badakhshan, Baghlan, Kunduz, and Takhar. Since Sept. 28, the Taliban has taken control of nine districts in these four provinces and another in the western province of Farah. The Long War Journal has been tracking the Taliban’s attempts to gain control of territory since NATO ended its military mission in Afghanistan and switched to an “advise and assist” role in June 2014. The map, above, is an attempt to document the Taliban’s advances since the summer of 2014. The districts displayed (red for Taliban contested, black for Taliban control) include only those where The Long War Journal was able to determine a Taliban presence based on open source information, which includes press reports and the Taliban’s claims of control. While the Taliban does exaggerate in its propaganda, its territorial claims have proven to be mostly accurate in the past. “Contested” means that the government may be in control of the district center, but little else, and the Taliban controls large areas or all of the areas outside of the district center. “Control” means the Taliban is openly administering a district, providing services and security, and also running the local courts. Often, the district centers are under Taliban occupation or have been destroyed entirely. The Taliban does not always hold the districts it takes. It occasionally will seize a district or the district center, occupy it and fly the flag, leave after a few days, then return at a later date. These districts are considered contested at best. Does the sale represent a step in China’s possible ambitions to have a toehold in the Indian Ocean? 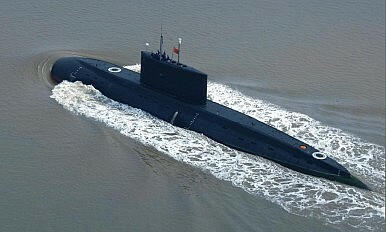 Combined with the AIP, this makes the Yuan-class the quietest non-nuclear sub in the PLAN. Furthermore, theYuan has an impressive set of teeth. Aside from six tubes firing standard 553mm torpedoes, it is equipped with the YJ-8/8A Anti-Ship Cruise Missile (ASCM). While this weapon only has a maximum range of between 30-42 km, there are plans to equip the Yuans with the YJ-18 ASCM. These missiles have a reported range of 220 km and, represent a real A2/AD “force multiplier” for the Yuan. Whether Pakistan will attempt to acquire these missiles, or opt to go for another option (such as their indigenously produced Hatf VII Babur) is unknown. While reports indicate that movement is being made in this direction, the current administration thus far appears willing to risk the ability of U.S. ships and aircraft to freely navigate vast portions of the Pacific Ocean by failing to conduct lawful ‘freedom of navigation’ operations (FONOPs) in response to blatantly illegal Chinese actions regarding rocks, shoals, and reefs in the South China Sea (SCS). In so doing, policymakers are willfully running U.S. presence in this vital region into metaphorical rocks and shoals. The danger to U.S. national security cannot be overstated, and these operations must be conducted as soon as possible.